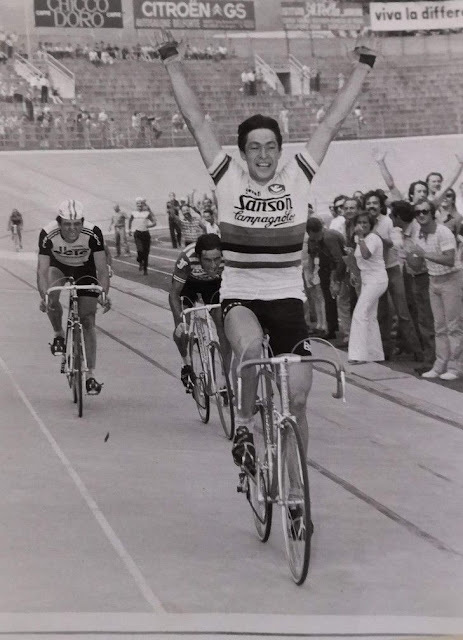 The winning Badger and the soon to become Professor, 1983 Vuelta a Espana. 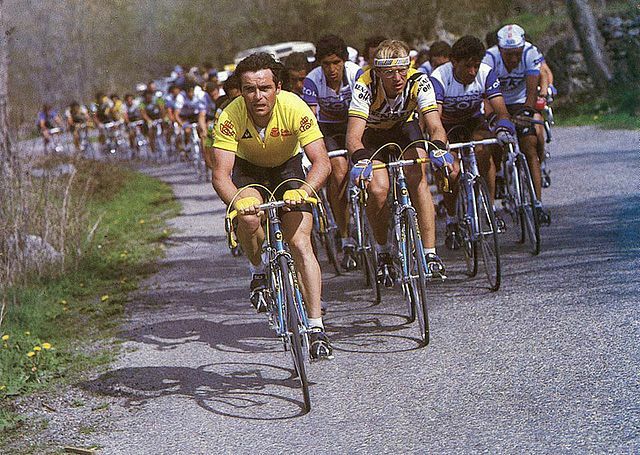 Bernard Hinault won the climb to Puerto de Serranillos that cemented his second Vuelta. 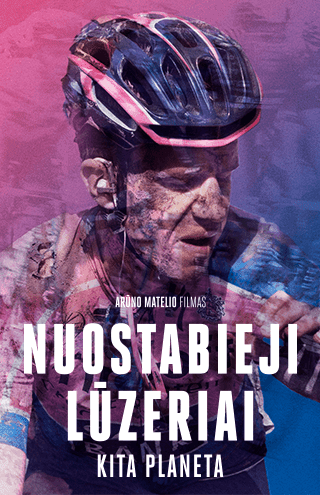 It wasn't easy for the Badger for he had to battle against Spanish riders; Marino Lajarreta (2nd), Alberto Fernandez (3rd) and Alvaro Pino (4th). 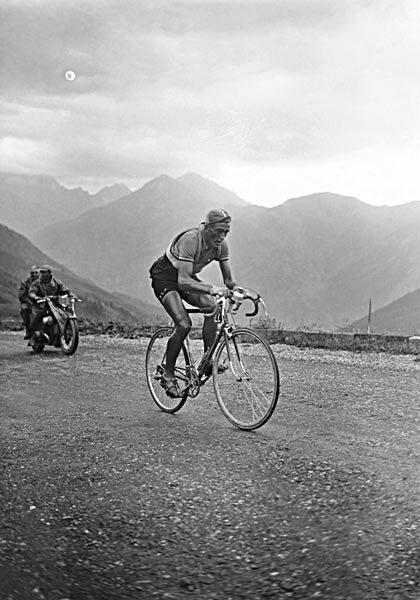 On the climb to Puerto de Serranillos he aggravated his knee developing tendinitis and unable to ride that year's Tour. His trusted teammate, the relatively unknown Laurent Fignon would go on and win the 1983 Tour de France.